Although Instagram would say otherwise, I know I'm not alone when I say I have not decorated for the holidays yet. Aside from a fabulous garland I laid atop the mantle last night (I caved, okay?) we've neither acquired nor trimmed a tree. But... thankfully Horchow has a sweet 30% off holiday decor situation in the works which means that you and I can deck the halls in (aptly discounted) style. What do I suggest? One is predictable: Kim Seybert for the win, baby! Her holiday decor is simply unmatched. There's simply no substitute. You can stop looking, Kim has all the jeweled stockings and ornate skirts you could dream of having. Also "winning" in my book is Horchow's own Sugarplum Chic collection. Absolutely stunning, and the gilded organic elements tie in nicely with Kim's luxe decorative accessories. Choose a color palette and stick to it. Gold or silver, blue or red. Choose a color or color combo and rock it out everywhere. I gravitate towards warmer tones like gold and plum with clear lights. I like tossing in accents of aqua to liven up the mix (and tie in my home decor). Carry the holidays through the home. Nothing livens up a guest bath like a bowl of ornaments or a boxwood wreath hanging on the mirror. It can be simple, but adding a touch of holiday decor to even the smallest of public spaces is a thoughtful touch. Ahhhh, wreaths. While I applaud those of you who can muster up seasonal decor for the door all year long, the Christmas season is when my front door wears its golden crown. Measure your door and don't be shy about size. I like my wreaths to be lush and large. Those over-the-door holders can be convenient here if nails or hooks are not an option, just be sure to add felt cushions to protect your door from damage. You have (at least) five senses. This is the time to tantalize your olfactory receptors with fragrant candles or live garland. 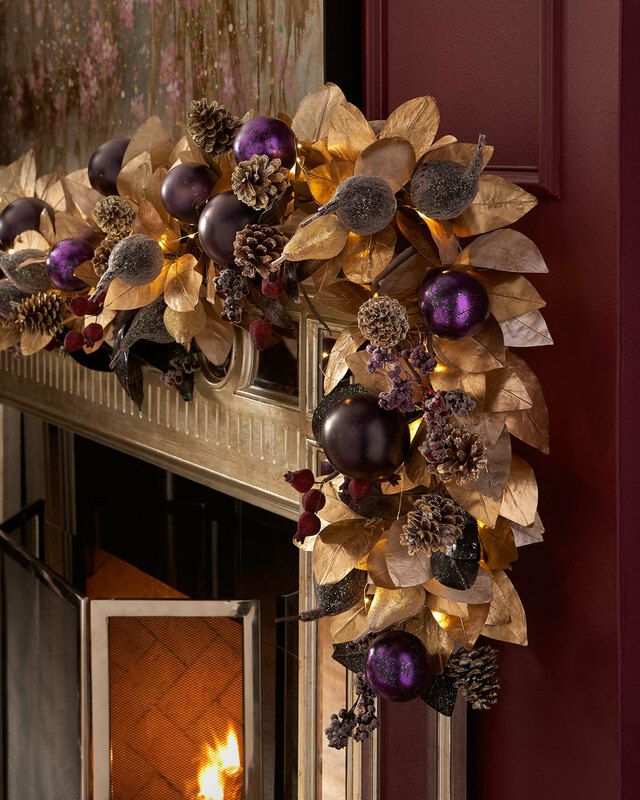 We used to love grabbing a handful of live, lush garland at the tree tents and placing it on sideboards and mantles. The smell instantly puts you in the holiday spirit. Now that my littlest is seemingly allergic to everything I stick to tried and true holiday fragrances like Nest's Pumpkin Chai candle and (new favorite) Nest's Japanese Black Currant. Both lend an air of intoxicating cheer to the atmosphere. 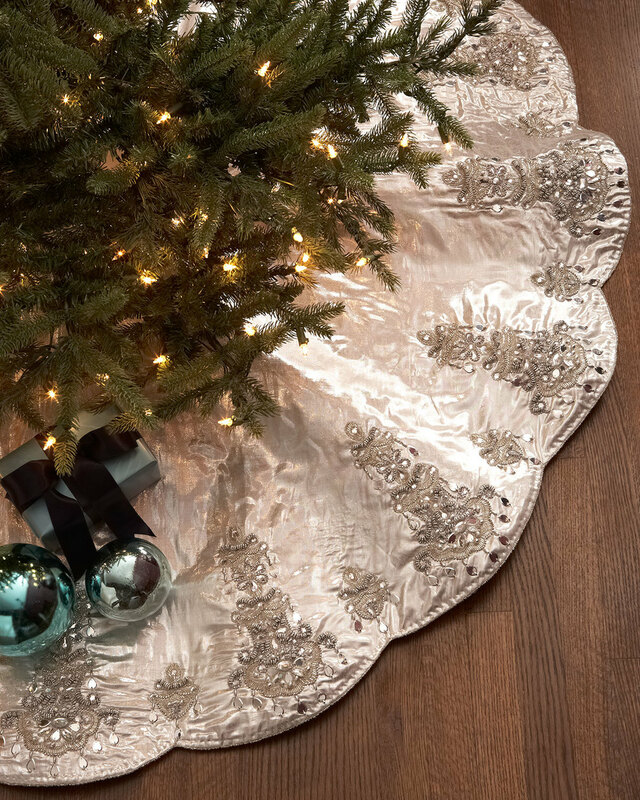 Grand or small, the time to get those decorations planned and ordered (or at the very least unpacked) is now. December has crept in upon us quietly and is begging us to take note. Now, head on over to Horchow and snag your holiday glamour at a festive price. Your barren mantle will thank you!